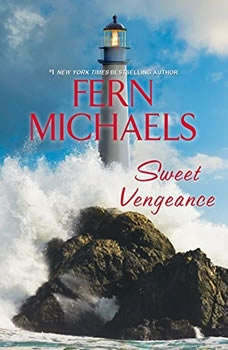 Self-described as someone who can scribble notes and tell great stories, author Fern Michaels, aka Mary Ruth Kuczkir, is a very prolific writer having written 147 books, with 90 being on the New York Times best sellers list. She was born in Pennsylvania, coming into this world as "a dinky little thing", as her father called her. She spent the early part of her adult life becoming a wife and mother of five children. After her children were grown, she separated from her husband, who was a very negative person, and began putting pen to paper to begin her writing career. She had always loved books, and writing one seemed to be the best chance for her to make her own way through the rest of her life. Her first manuscript was not published, but the second attempt was, and so began her illustrious career. Her successful career allowed her to put all five children through college, on her own, which she claims is one of her most proud accomplishments. She says that when all is considered, family is the most important thing. Fern also bought a beautiful old (300 year old) plantation in South Carolina, where she still lives today. Her grandmother gave her very sage advice many years ago, which she lives by today.......when God is good to you, you have to give back. She developed the Fern Michaels Foundation which grants four scholarships to deserving students. She also opened a pre-school and day care center for single moms who are having a hard time supporting their family. The quote that best describes is a Dutch saying.......If you can't whistle on your way to work, you don't belong in that job. She follows by saying, "I whistle all day long".